If your business is located in the USA, and a client of yours who is also located in the USA does not pay your invoice for the products or services they purchased from you on credit, the commercial debt collection process for collecting the money your client owes you is fairly straightforward. However, when you sell your products or services on credit to a company that is not located in the USA, and that company decides not to pay your invoice, your options for collecting the money that is owed to you become more difficult and complicated. To solve this major financial problem, there are now commercial debt collection agencies in the USA that have partnered with collection services and attorneys in other countries to perform international debt collection for you. US based international debt collection agencies will partner with collection professionals in the host country of the company that owes you money to ensure that the best collection agents and attorneys are being utilized to collect the debt that is owed to you, and that they are doing everything legally according to the laws in their country. International debt collection involves professional negotiating skills, diplomacy, and a strong understanding of international debt collection laws in order to collect the money that is owed to you. International debt collectors will often use professional debt collectors “on the ground” that have exclusive access via vetted collection networks in a given country. The same goes for working with credit rights attorneys. The agents that they use are debt collection professionals that understand the language, customs, cultures, and laws in the country they are in. This is important when performing debt collection. 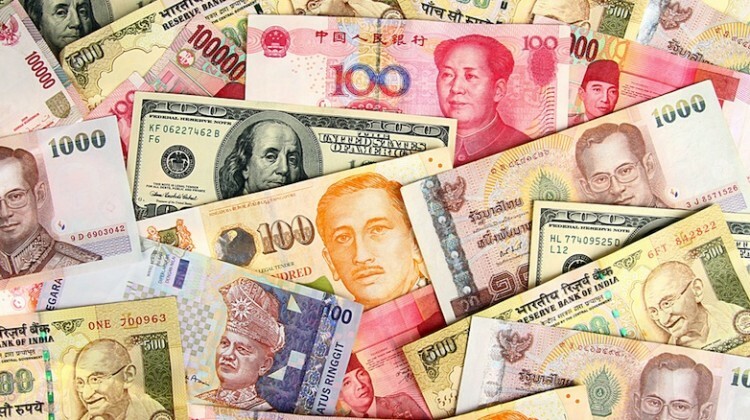 It’s important to note that collecting international debt is challenging. With different jurisdictions, time zones, languages, currencies, cultures, and regulatory regimes, it makes it more difficult than collecting in one’s native country. Many international collections agencies are members of the International Credit Exchange. That means they can skip trace, collect, and litigate globally (http://www.ccicm.com/international-debt-recovery/#tab-id-3). The ICE is made up of the largest and most highly regarded agencies and law firms. The partners in the ICE are hired using a three-stage diligence process to ensure they are fully compliant with the highest global standards. They are also continuously monitored on their performance as well as audited on a regular basis. This ensures that they are there to work for you and they will uphold the highest standards while collecting your debt. Another service International debt collectors can provide to you is skip tracing. Skip tracing is the process of locating the owner of a business that purchased products or services from you and then moved without letting you know where they were going. Locating that person can be the difference in collecting the debt owed to you or writing it off as a loss. Another feature you could utilize is requesting an international credit investigation. It is possible to check the credit of international companies so you can make the decision of whether you should do business with them or not. Most countries offer this service to protect you as the service provider when you are trying to determine if you want to offer an international company credit to purchase your products or services. Worldwide networks of law firms that specialize in commercial debt recovery provide the ability to litigate in almost every jurisdiction in every country. Constant monitoring and transparency ensure that all files are getting expert attention. All information is transferred and managed on a single IT platform. You, as a client, can simply log on and check the progress of your legal files from anywhere in the world. There are also online account managers available to provide real time updates so you are always kept fully informed on your account status and progress. As far as the success rate of international debt collection services, it’s nearly the same as for domestic collections. When collection agents understand the language and culture of the host country of the company that owes you money, the more likely it is that they will be able to successfully collect the debt that is owned to you. The process of collecting debt is identical to the way we do things domestically. Many debt collecting companies also have an online account system where you can keep track of the process. If you have an international client that owes you money and their invoice is over 90 days past due, the best thing to do is to contact an International commercial collection agency such as Melton Norcross and Associates. We will work with professional debt collection services in the host country of your client to collect the money that is owed to you. For a free consultation and price quote, call David Roche at 1-866-323-7043 or click on the blue button below to email us.